"Dude, have you seen the purple toilet?" This plum Duchamp homage forced me to circle the block and pull over on I St. this morning on my way to work just to reaffirm that I wasn't high and seeing things. What's cooler, upon closer inspection I was pleasantly surprised to discover that this flamboyant shitter was produced for a good cause: to "flush away cancer." 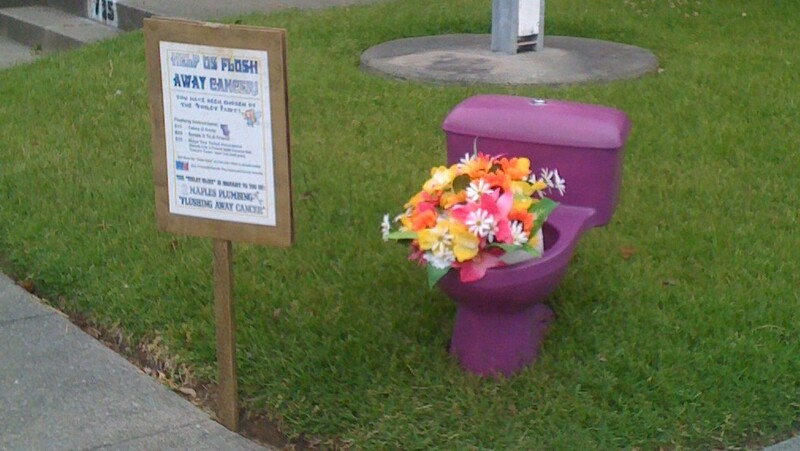 Maples Plumbing's Relay for Life team appear to be the clever culprit. Nice work, pipeheads. 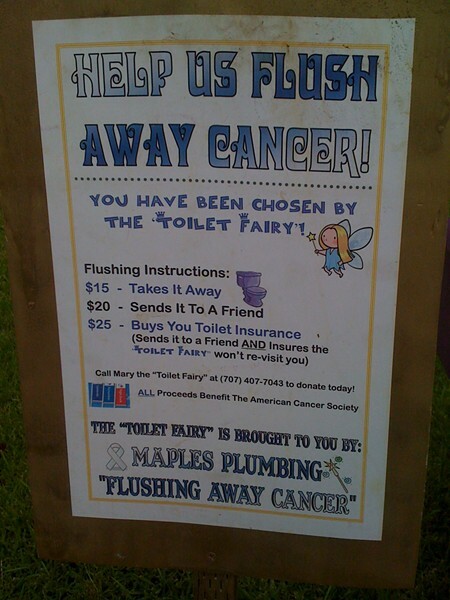 So, if you find a purple toilet in your front yard, remember the accompanying sign lays out your options for removal, which require a small donation to the American Cancer Society, by way of "Mary the Toilet Fairy." Keep Eureka weird! 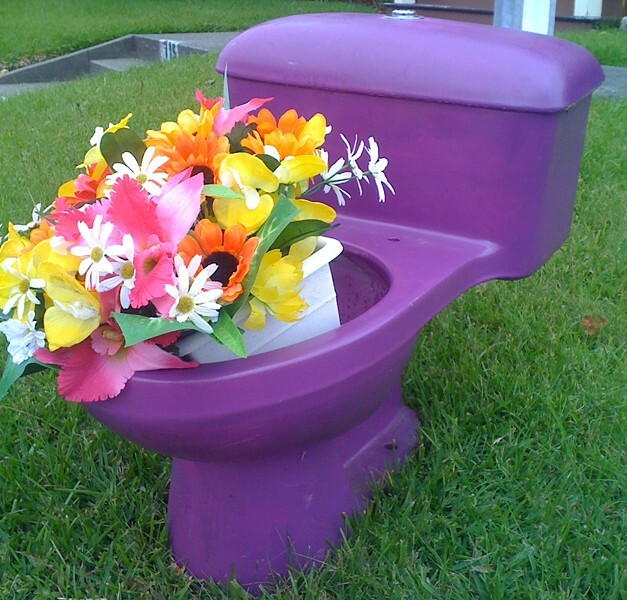 Long live Mary, the Toilet Fairy!